John Leeuwenburg has a small nursery in Barendrecht. This is where he cultivates pak choi and lettuce. 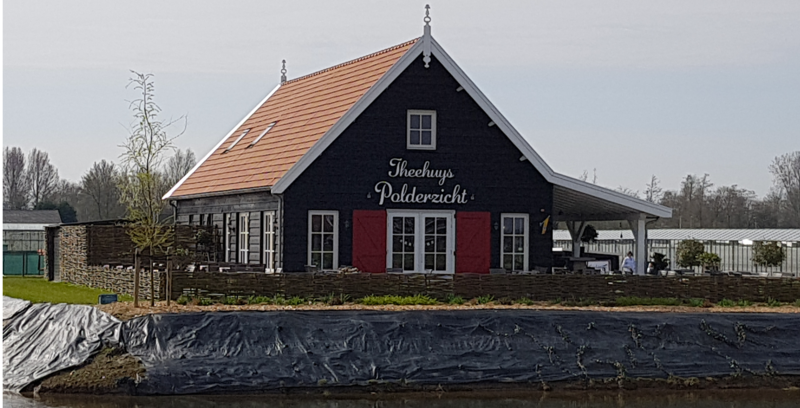 He also runs the Theehuys Polderzicht teahouse with his wife. He would be happy to tell you how this special combination came about. John says, ‘In 1984, I started my own company. Unfortunately, most of my plots are gone again. John’s nursery now consists of a small greenhouse and a plot of open soil. ‘Outside, I still cultivate lettuce. I plant it in summer and harvest it in autumn. I don’t dare to plant more. It’s nice to have some crops growing outside, but if you’re not careful, all your crops can be eaten by the animals rummaging about. During the winter months, I use the greenhouse for the pak choi. If I plant it in autumn, the harvesting period goes on until March. In summer, the greenhouse is used by an external party to cultivate seeds of spinach, beetroot, white cabbage, carrot, and other vegetables. They delegate the work to me: I plant the seeds, protect the crops, place stakes when necessary, and eventually harvest the crops. Towards the end of September, we empty the greenhouses and harvest the crops. And then I can start planting my pak choi again,’ says John. The combination of the teahouse and the nursery is a tough job. I mainly take care of the nursery and my wife mainly runs Theehuys Polderzicht. I just have to do the groceries and administration. Although the nursery doesn’t need any more staff, but the teahouse really does. We have about twelve employees now and we really need them, because as I said, the teahouse is a success. You can also rent the teahouse for parties. The nursery and teahouse keep us very busy, and we hardly have a day off. But we like doing it, so it’s worth it,’ John concludes.